Dopamine is a simple audio player with modern design, that developed to make organizing and listening to music as simple and pretty as possible. 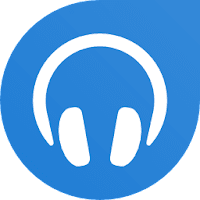 Dopamine has been designed for Windows 7, Windows 8.x and Windows 10 and able to play av, mp3, ogg vorbis, flac, wma and m4a/aac audio formats. It is written in C# and is powered by the CSCore sound library. Why Dopamine? "Dopamine" is actually the name of a chemical in the human body, which plays an important role in defining human behavior. It is a chemical released by the brain when we experience pleasure. And it was discovered that it is also released by our beloved brain when you enjoy music. Note: Dopamine requires Microsoft .Net Framework 4.6.1 or higher. Disclaimer: Direct downloads for the lastest version of Dopamine 1.5.14 are provided by the official software's author, we can't guarantee safety, availability or download speed. Moreover, we don't and we won't provide any pirated/illegal versions or tools. We recommend you to avoid it as these methods can harm your device. If you like the software, buy it to support the developers. (We provide software discounts for many worldwide brands).